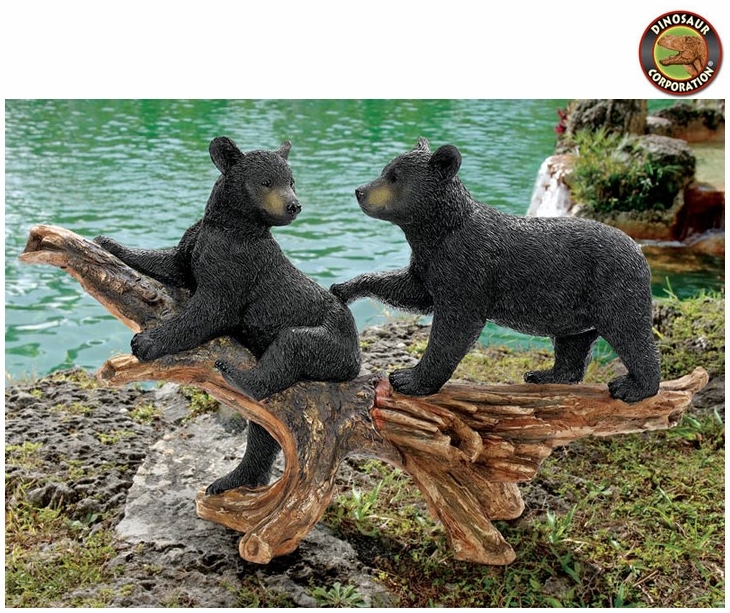 Bear Cubs Garden Statue. It's playtime in the animal kingdom as artist Lightfoot sculpts a perfect snapshot of a rough-n-tumble pair of black bear cubs. Intricately sculpted from fluffy fur to oversized paws, our statue scampers to life in quality designer resin realistically hand-painted in exacting detail to add the charm of the wild to any home or garden setting! * Size: 30�" W x 9" D x 18" H.